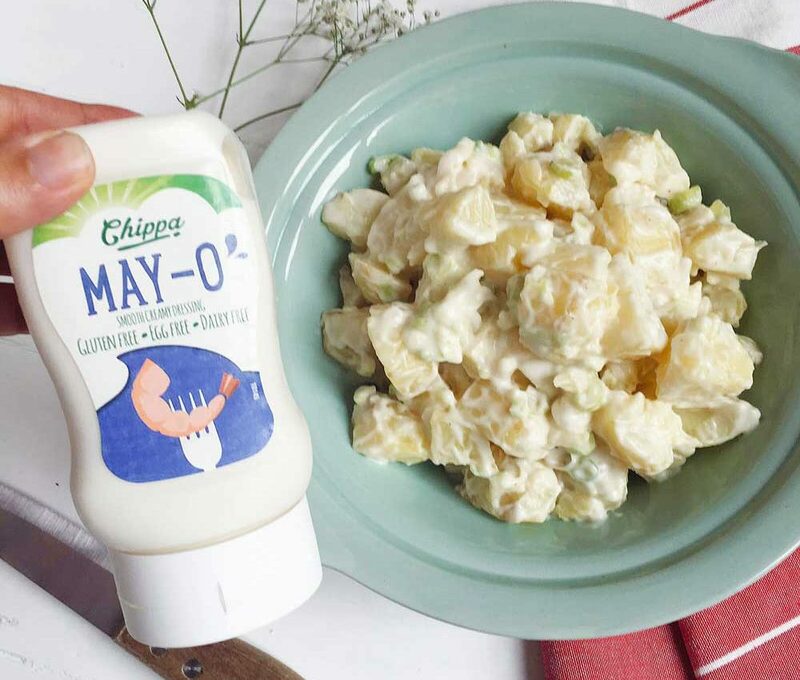 For national BBQ week we've paired up with Chippa May-O to make the perfect Dairy Free Potato salad. It's also vegan too so you can have your egg free potato salad too. 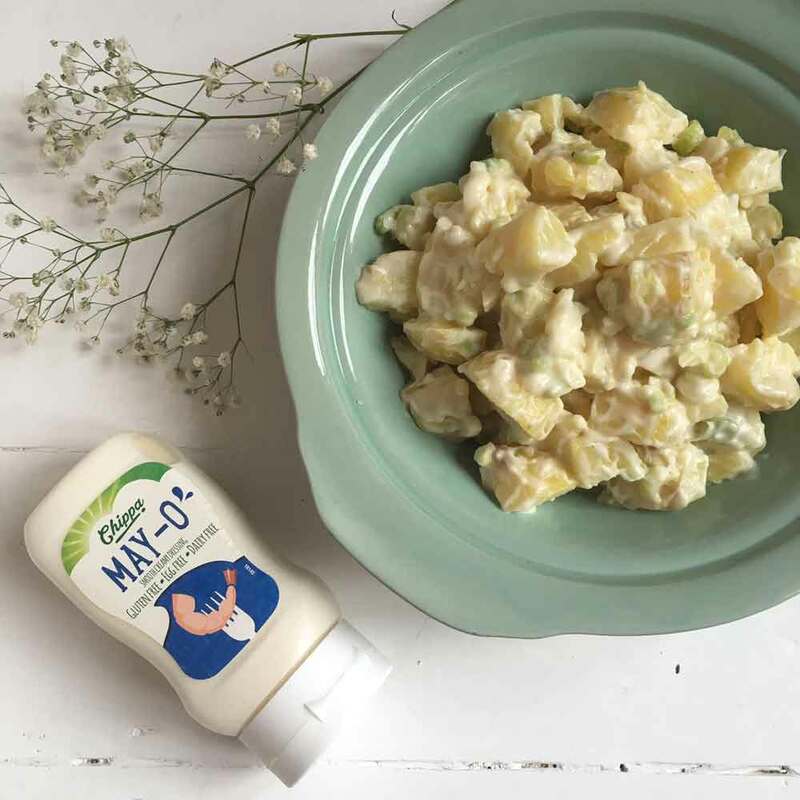 The perfect side dish for any summer BBQ. Chippa is Egg Free, Wheat Free, Dairy Free so its perfect for everyone. 2Drain the potatoes and allow to cool. 4Mix the Chippa mayonnaise with garlic paste and salt and pepper to taste.